The former CEO of Dentsu Aegis Network’s Carat, Paul Brooks, will join Nine as director of sales – Sydney. Brooks, who left Carat last September after two years, replaces Liana Dubois, who was promoted to director of Nine’s client solutions team, Powered, last week. Prior to leading Carat, Brooks was head of Dentsu’s media investment division, Amplifi. He was also chief investment officer at Carat and Mediacom. His departure from Carat came after a series of key client losses, including the $20m Amart account and Mondelēz International, worth around $40m. However in the same year, his business also won the $10m Beacon Lighting account, the Event Hospitality and Entertainment account, and media agency of record for Grill’d. 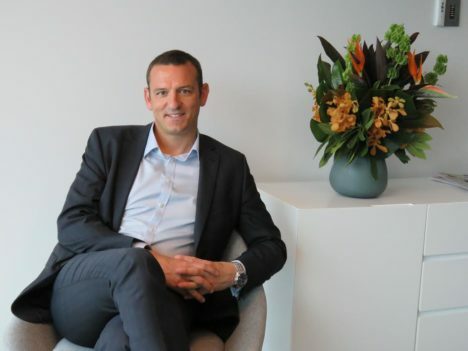 Two months after his exit, Dentsu Aegis Network CEO Simon Ryan also left the business to join Carsales as managing director of commercial. Richard Hunwick, Nine’s director of sales – television, described Brooks as one of the “most experienced and “respected” leaders in the industry. “He has an intimate understanding of the needs of today’s marketers and he’ll have all of Nine’s assets at his fingertips to develop campaigns for our advertisers,” Hunwick said. Brooks said it was an exciting time to join the Nine business, noting it was the “pivot” he was looking for. “Nine has a fantastic content slate, a unique data proposition, and is leading the market in terms of advertising technology. Brooks will report to Hunwick. A commencement date has not been confirmed. Well done Paul. A great person and I’m sure Nine will be a great partner for your next stage. Well done mate. Look forward to catching up soon! Congratulations Brooksy. Well done to Nine for recruiting top talent. Paul is a Fantastic operator, an industry leader and equally a genuine and decent individual.